Just a couple of days ago, Microsoft put out a blog post outlining how Windows Insiders would be updated to the release version of Windows 10. Later, they updated their original post to change some of the wording, since it basically made it sound like anyone could use the Insider program to score themselves an activated license for Windows 10. The new verbiage was subtly different but the end result was even more confusion. Today, for the third time, the post has been updated to try and clarify again, and close the giant loophole. Now, to clarify, all Windows 7 and 8.1 customers are eligible for a free upgrade to Windows 10. 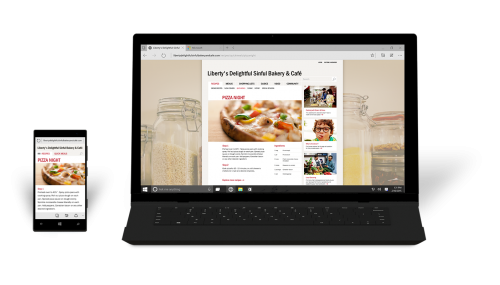 This free offer extends for one year from the launch of Windows 10 which will be July 29th. If you are running Windows 7 or 8.1, you are eligible. The end. One common question though was what about the millions of people who joined the Windows Insider program and are running Windows 10 as pre-release software already? As of Friday, Microsoft’s Gabe Aul stated that they would also get an activated Windows 10 install as long as they were using the Microsoft Account that they joined the Insider’s program with. Apparently too good to be true often is, and the company has now completely changed the terms again. There are now three scenarios (and once again this is ONLY for people running Windows 10 as an Insider) and each is handled slightly differently. Nothing can be easy it seems. The first scenario is that you are a Windows Insider, and you want to stay in the program. After Windows 10 launches, the Insider program will continue, and there will be fast or slow rings for testers. The Insider builds are pre-release software and are activated with a pre-release software key. Eventually these builds will expire, however there will always be a new build with a new key before that happens. If you want to stay an insider after the launch, there is nothing to be done and you will continue to have an activated copy of Windows. However, from the post, there is one more point to add: “the Windows Insider Program is intended to be installed on Genuine Windows devices” so even though they are not checking, to be in full compliance, the device running the Insider preview of Windows 10 should be a licensed computer. The second scenario is that you have upgraded your Windows 7 or 8.1 computer to the pre-release Windows 10 build, but when the final build comes around you want to exit the program. As long as you started with a licensed Windows 7 or 8.1 PC, your PC will remain activated. The final scenario is if you want to exit the Insider program, but you are running Windows 10 from a clean install. In this scenario, you will be required to roll back to the original operating system, and then do the Windows 10 upgrade in order to get activated. Once activated, you can do another clean install if necessary. There are of course more scenarios that have not been covered, and only time will tell what happens to those installs. For instance, on my desktop, I started from an upgraded 8.1 install, but due to some instability of apps, I wiped out my system and installed again from the Windows 10 ISO. Am I activated? I have no idea. I suppose I’ll find out on July 29th. The Insider program has been pretty successful for Microsoft, however their communication is not always as successful. We can only hope that it improves over time. Really microsoft, if you want to be good fella be a good fella else just stick to your obsolete practices and stay with the $99+ for license or nothing. Where did you get that from? All windows 7 licenses can be upgraded to win 10 for free so long as you upgrade in the first year. This is a very simple thing that some seem to have trouble understanding. You are eligible for a free upgrade to windows 10. What this is saying its that uses of the windows 10 insider program can continue using windows 10 insider even after launch so long as they keep it updated, also not hard to understand. I would imagine based on the License key, like they would for every other license. If you are connecting to MS servers to request your free upgrade to win10 they will know if you are using a genuine license or not. All of my MSDN licenses are being offered the free upgrade regardless of type of license key used. No they are not KMS activated licenses but they will detect the actual license being used when connecting to their server anyway. I just think that a lot of the "What if?" questions I am seeing is more people assuming that their use case will not be included when it really seems like for the most part they will be. Also this article is about Windows insider previewers being able to keep using Win10 after it launches which they will. They won't get a fully fledged license but will be able to use Win10 insider preview providing they continue testing it. This will involve keeping their copy up to date with the latest beta updates. I am less than bothered about whether pirates will be able to upgrade or not as if they are not they will more than likely simply continue to use a pirated copy as they always have. If you are activating through KMS then you are using Volume Licensing which is not a part of the free offer. Volume Licensing updates are handled by Software Assurance. whats so hard to understand? if you have a legitimate OEM/Retail copy of windows 7/8 you will get the free upgrade for the first year. If you are a volume customer under SA, you won't but SA will likely cover you anyway as part of the agreement. If you're running a pirated copy of windows, you aren't entitled to get an upgrade for free as there's nothing to 'upgrade' from. I'm sure there will be plenty of crafty hackers who manage to trick the system into giving them a copy of win10 that ends up being legitimate and fully activated, but make no mistake, its a stolen copy, whether it works or not. If you get it working, good for you, if not, learn to hack better, or don't be a thief.